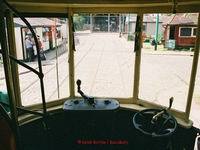 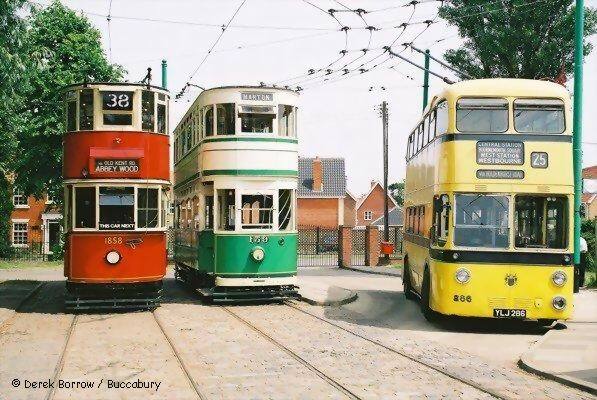 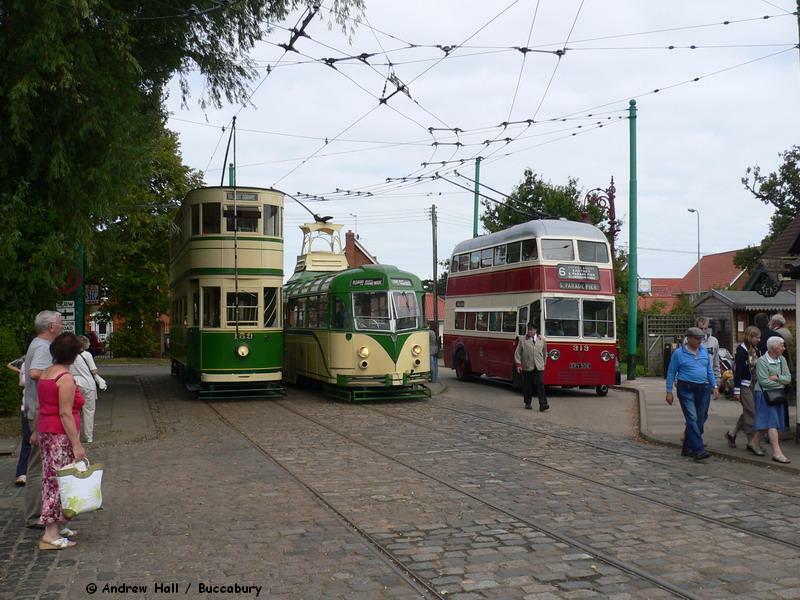 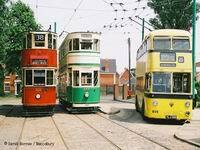 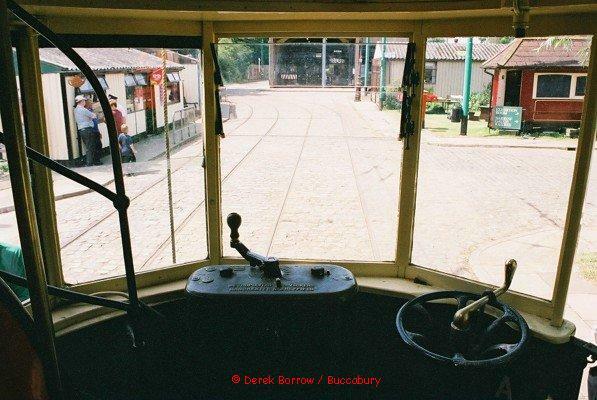 East Anglia Transport Museum - Chapel Road Terminus. 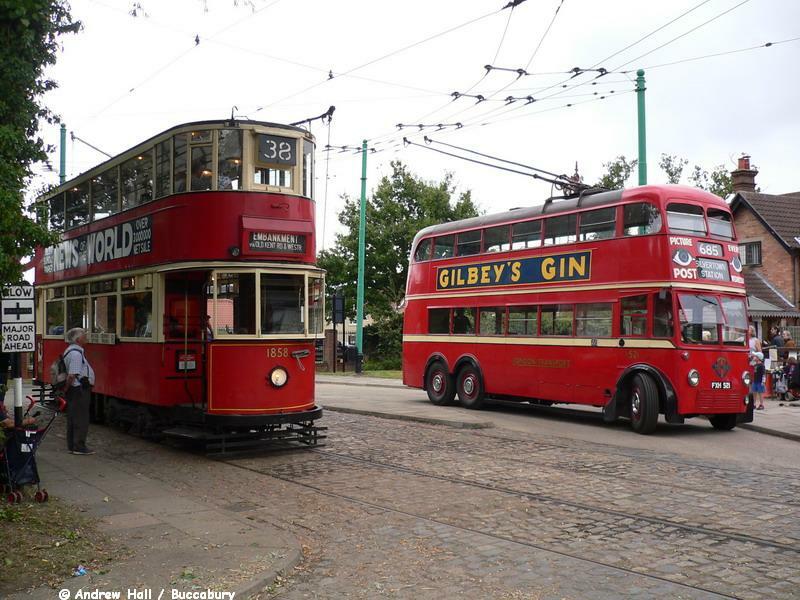 Ex-London Transport 'HR2' Tram 1858 of 1930. 286, YLJ 286 of 1959. 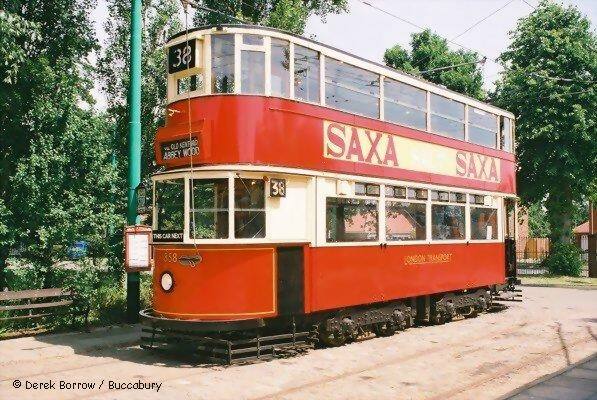 Ex-LT 'HR2' Tram 1858 of 1930. 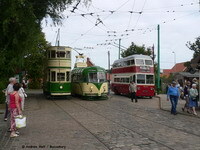 Ex-Blackpool Corp 'Standard' Tram 159 of 1927. 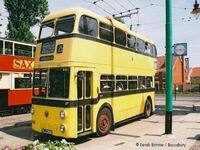 Ex-Bournemouth Corp Trolleybus 286 of 1959. 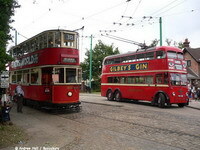 'L3 class' Trolleybus 1521, FXH 521 of 1940.